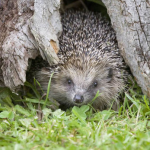 The place where living things live in is called as its “habitat”. Therefore, for us humans, the house is our habitat. For turtles, when you are building or preparing their habitats for them, you will all kinds of various things. This includes heating equipment, feeding bowls, accessories, and of course their terrariums. Aside from those, you would also need accessories to make their terrariums look more like their natural habitat, so this includes the substrates that would walk onto. 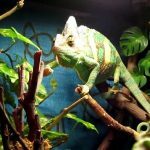 In this article, we would only be focusing on the best turtle substrate that you can get for your reptile. If you are taking of an aquatic turtle, the best substrate that you can get it would be pebbles. This is not actually surprising as wild aquatic turtles mostly dwell on lakes or rivers, where there are a lot of rocks and pebbles that they can stand, walk, or rest on too. This Exo Terra pebble has a really smooth surface on it, and without any signs of rough surfaces, to prevent your foraging or bottom-dwelling turtle from getting injured. It comes in various colors to give your pet’s terrarium a more natural looking riverbed environment. Also, each rounded pebbles are around 0.3 to 0.4 inches in size, which makes it ideal for turtle’s that has a shell diameter of 4-inch and above. As for tortoises and turtles that burrow in substrates, using a loose coco fiber substrate on their enclosure would be the best bedding for them. 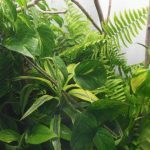 Not only does it maintain a good level of humidity in their enclosure, but it also provides a very naturalistic look on their terrarium’s set up. Most species of turtles need to have a specific level of humidity to keep their bodies healthy. 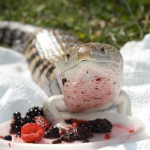 Not having the right humidity level in their enclosures would cause them to have a complication and even death. Also, you can either use this substrate dry or damp depending on your turtle’s need. Cypress mulch is another organic substrate that is ideal to be used on all kinds of turtles, except when your turtle tank is half-filled with water. Using this kind substrate on tanks filled with lots of water would just make the tank look dirty. 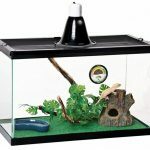 For land-dwelling turtles, or for those owners who just want to add a land like a substrate on their pet’s tank filled with water, then this bedding would be a good choice for you and your pet. It is made from 100% organic cypress mulch and free from dyes and toxic chemicals. Some customer reviews have claimed that it is the best substrate for their box turtles. Here is another optional coco fiber substrate form Zoo Med that you can choose from. However, this product has compressed packed the coco fiber to have a more brick-like packaging. The quality of this one doesn’t really have a difference compared to the non-compressed one, except for their packaging. Also, unlike the non-compressed coco fiber, you will have to soak this compressed bedding in the water to easily expand it. If you don’t want to use a damp bedding for your land turtle, you can just break the compressed bedding with your hands or tool, or just dry it up under the sun after soaking it with water. If you have a brackish-water or saltwater turtle, the best substrate that you can use for it would be some crushed corals. The Carib Sea is the best-crushed coral bedding that you can get in the market. You can also mix this substrate with smooth pebbles to have a better look in your pet’s tank. This product is not really crushed at all, but it is a naturalized product that is size screened to have a smaller size. Carib Sea’s Geo-Marine Florida is the only crushed coral product that is with aragonite. 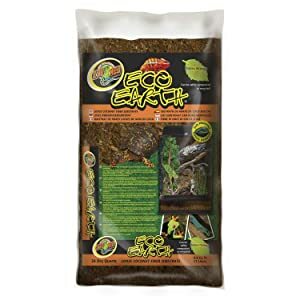 If you want to use a crushed coral that isn’t totally ground, then you can consider using this product for your turtle. If you want to use a crushed that has an aragonite in it, then this would be the product for you. Not only that, but it also provides an up to 25 times of buffering power of other corals that are crushed. If you want to keep your pet’s tank simple, you can just use this bedding alone. 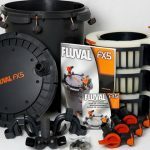 But if you want to make your turtle’s tank look more naturalistic, then we suggest that you mix this with smooth pebbles and rocks, plants, and other compatible components that can be used underwater. Also, since this product has 100% aragonite formula in it, it will help support your turtle’s tank water with proper pH levels to make the water much safer for your pet. If you want to use a sand type substrate instead of a pebble one for your aquatic turtle, then we recommend you Exo Terra’s Riverbed Sand Substrate for most types of aquatic turtles. This sand is your turtle’s preferred substrate in the wild. This is also preferred by soft-shelled turtles. This riverbed sand is very fine and it can be also easily secreted when your turtle has accidentally ingested it. Since this sand has a soft nature, it won’t injure your pet’s skin, unlike the roughly surfaced gravels that can injure its skin tissue. The sand is also soft enough for turtles to dig and burrow too. Here is another all natural “green” product that you can use as your land turtle’s substrate. 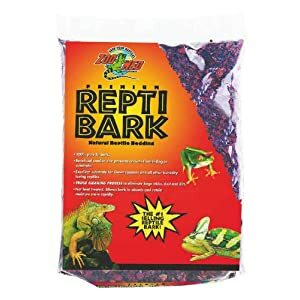 Each pack of this Zoo Med Repti Bark can last for up to 1 year in your care, which would depend on how often you change it. This substrate is 100% made from an organic fir tree, so this product is free from toxins, dyes, and other chemical products. 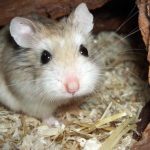 It is also Hygroscopic, meaning it can absorb the moisture around your pet’s terrarium, and then eventually releases it to create enough humidity. This is perfect for your pet that loves good humidity, the substrate also conducts and evenly distributes the heat in the terrarium for a much better comfort. 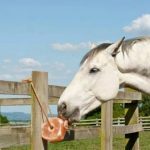 This would also help stimulate your pet’s natural digging and burrowing behavior. If you have a planted turtle tank, then I recommend that you use a fluorite as your turtle’s bedding. A Fluorite is a type of porous clay gravel, which is specifically designed to be used on planted aquariums. It is actually a great root medium for aquatic plants and of course, for your pet. 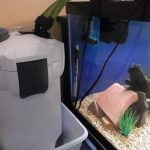 However, before putting this is your pet’s tank, you should know that it would make your pet’s terrarium filled with mud. You don’t have to change the water though, you can just let the filter run and then frequently change the floss for a couple of days to make the water clean again. But if you don’t want to keep on changing the floss, then we recommend you to heavily wash this in a bucket of water to remove all its dust. Here is another crushed coral substrate option that you can choose from. The crushed corals are 100% real as it came from the ocean’s floor. Don’t worry as this product’s company gets their products legally and safely as they don’t destroy the ocean’s nature. The corals maintain a superior pH and a marine chemical balance, which helps to make sure that your turtle is dwelling in a safe and healthy water. This is because most tap waters are low on pH, which is actually important to keep your pet healthy. Like most pets that are kept on tank terrariums, turtles also have their fair share of unsafe or bad substrates for them. Therefore, you should watch out for these types of substrates and avoid using it. There are some types of sand that are suitable to be used on turtle terrariums, but there are also some sand products that are just too dry and packed with too much calcium for your turtle’s health, such as Calci-sand. You can use regular sand, but do you use it with care. Some land turtle owners use printed and unprinted newspapers for their pets. 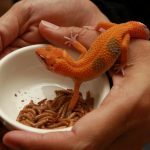 This is okay if it is only temporary, but using it as your pet’s permanent substrate is not okay. Your turtle might ingest it and cause impactions. This is very harmful to all kinds of turtles, so avoid using this type of product at all cost. This is actually okay to use, however, it doesn’t retain humidity very well and it kinds of getting moldy when it gets wet. But if you live in a tropical area, then you can consider using a carpet substrate. 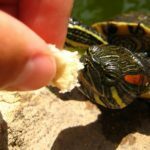 Not only would these substrates hurt your turtle’s skin tissue, but it can also cause impaction and might get it in your pet’s eyes, nose, and mouth. If you are not an expert when it comes to handling reptiles and amphibians, then it would be best that you avoid using this type of bedding. Turtles are very easy to take care of as they don’t require much attention, toys, and food, unlike most furry pets. Just provide them with healthy foods, a nice warm spacey habitat, and the soft and safe substrate and they would live a long happy life. Remember that turtles live a long life, therefore, taking care of them would be a long commitment for you. Nevertheless, just provide them with all their needs to keep them strong and healthy.